The newest Quakers get their first taste of Penn at welcome receptions hosted by proud Penn parents. You don’t need to be on campus to feel the energy that stems from being part of Penn. Many Penn Parents and incoming freshmen begin making their connection with the Red and Blue community weeks before stepping onto campus for Move-In. Hosting these events is a wonderful way to give back to Penn. We plan on continuing to host them for as long as Penn lets us! And we encourage other parents to do the same. Each summer, the Office of Parent Outreach and Development spreads the welcome mat for the newest members of the Penn family at receptions around the globe. From Hong Kong to London, Los Angeles to Boston―and several places in between―the Class of 2022 Welcome to Penn Receptions, hosted by proudly engaged Penn Parents and regional alumni clubs, provided nearly 1,700 Quaker families a festive atmosphere to begin an engagement with Penn that can last a lifetime. “As Penn Parents who were warmly welcomed by so many alumni families at these events, we know what a difference it can make in alleviating anxiety and creating a smooth transition,” say Teri and Mitchell Gevinson, PAR’19. The Gevinsons had such a positive experience attending a welcome reception before their daughter’s freshman year that they volunteered to open their home in Boca Raton, FL, to incoming Quaker families. 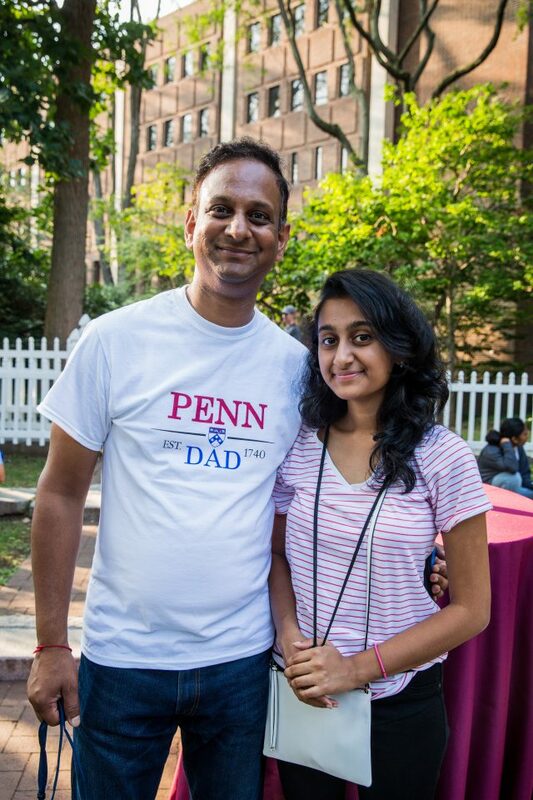 Once the kids have settled into campus life, parents can share in the Penn spirit year-round at one of the numerous events the University hosts across the country and throughout the world. To see upcoming events near you, visit the Penn Alumni website. If you’re a current parent considering becoming more involved with Penn, please contact Rachel Shearon, Director of Parent Outreach and Development, to discover opportunities to engage with our global Penn family.